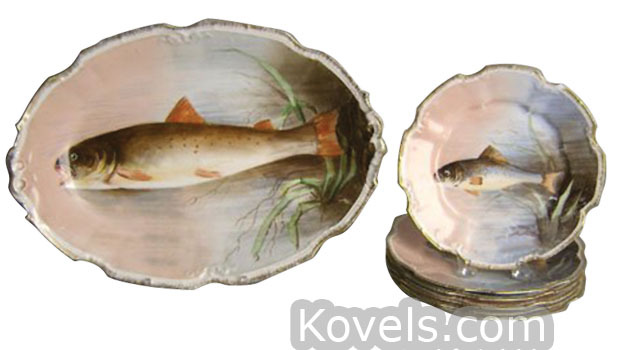 Game plates are plates of any make decorated with pictures of birds, animals, or fish. The game plates usually came in sets consisting of twelve dishes and a serving platter. These sets were most popular during the 1880s. Most game plates were made in Germany, Bavaria, and France, and often had hand-painted decorations.